Waterproof Matches - Make Your Own Or Buy Them? 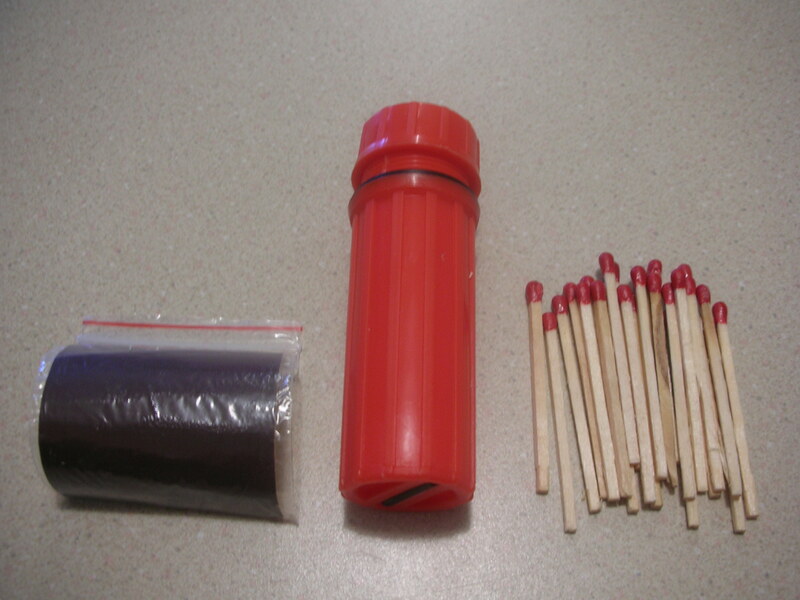 Making your own homemade waterproof matches is a fairly simple project that anyone can do. In fact, if you were a boy scout you've probably made a few of these matches before! Although you should always carry more than one survival fire starter, the match is a common favorite. However, moisture is a matches worst enemy. 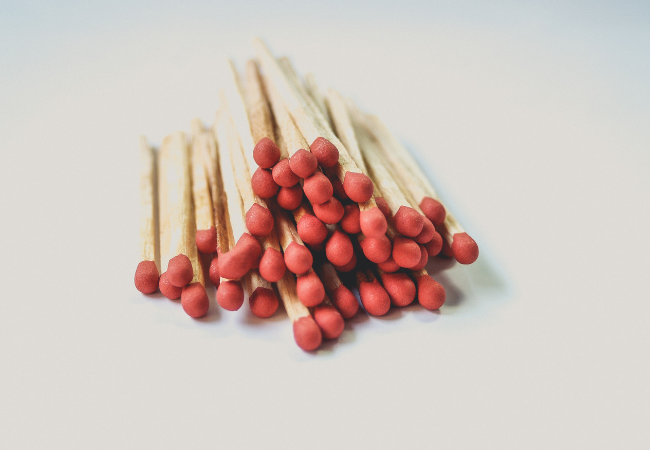 Whether it's the match head, match stick or even the striker on the box, if anything is exposed to moisture a match is nearly impossible to light. 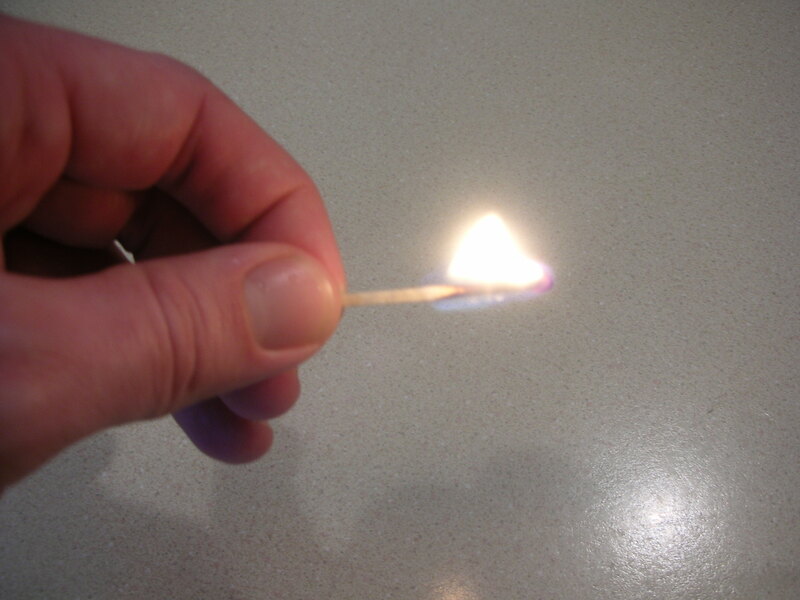 To help prevent moisture from destroying your fire source you can make your own matches that are waterproof or you can simply buy some from the store. A lot of people choose to make their own hoping to save money and still create a high quality match that will last for years. However, does making your own actually save money? More importantly......will they work when you need them the most? 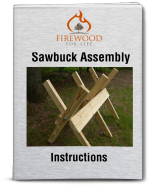 Before we decided lets learn how to make some homemade matches and compare the costs and functionality to the commercial grade option. When choosing a match for your project, use strike anywhere matches instead of strike on the box. The strike anywhere option is tipped with phosphorous allowing the match to be struck against any abrasive surface. With the strike anywhere matches you can light them virtually anywhere you can find a surface rough enough to light the match.....even your zipper. The strike on the box matches require the phosphorous striking strip on the box to light the match which limits your options, especially if the striking strip is wet. Here's the problem with strike anywhere matches........they're virtually impossible to find in the store. Although there are still some stores that carry them, a vast majority of stores no longer stock them. Recently I went searching for strike anywhere matches at 5 different stores such as Ace Hardware, Walmart and 3 other large outdoor stores that had a nice camping supply section. Not a single store carried a standard strike anywhere match. Since regulations now make the strike anywhere matches difficult to ship and stock in the stores, shopping online is about the only consistent place to buy them. Paraffin wax works pretty well for this project, but a lot of people have better luck with bees wax since it's more pliable. Using a double boiler or a can resting in hot water, slowly melt your preferred wax until it's in liquid form. Don't get the wax too hot, just make it hot enough to melt. Once the wax is melted, carefully dip the match head into the wax. Next, immediately remove it and gently blow on the wax to cool it down. This will prevent the wax from soaking into the match head. Another option is to light a candle and let the wax pool in the middle. 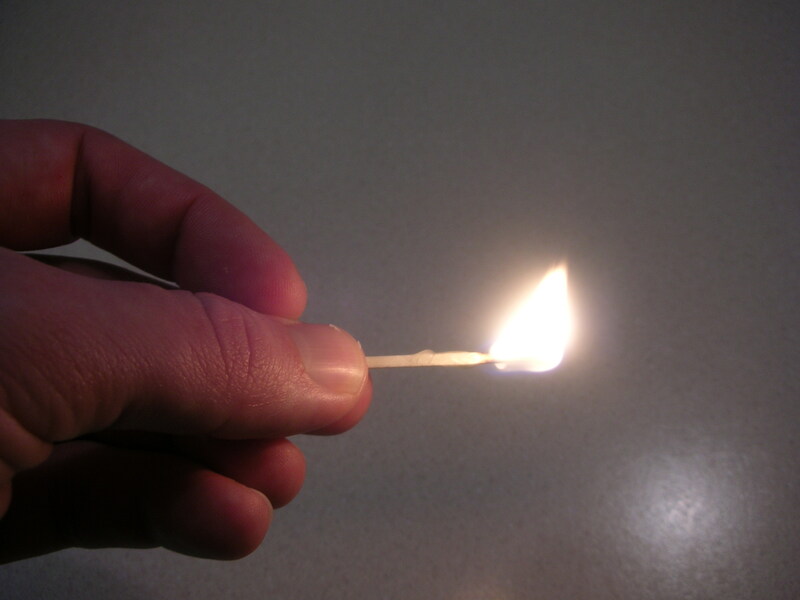 Then, gently tilt the candle and roll the match through the melted wax. Use a lid or box to rest the matches on until they're dry. Let the match cool then flip it over and dip the other end using the same process. This will completely cover the match with wax. Why cover the whole match and not just the match head? 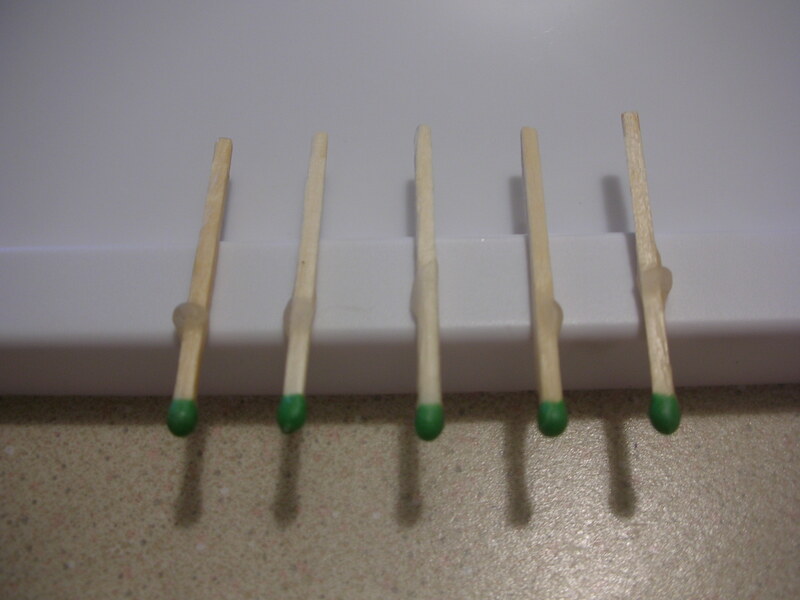 Covering the whole match will prevent the match stick from drawing moisture into the match through the bottom. Once the match is covered in a thin layer of wax you're done! To use the match simply scrape off the wax on the match head and strike it on the box or any rough surface depending on the match you're using. As a bonus, the wax on the match stick also helps fuel the fire. Covering a match with wax works pretty good to keep them waterproof. One common complaint is the matches will stick together after several months of storage. For extra protection from moisture you can store your newly constructed waterproof matches in a ziplock baggie or watertight container. 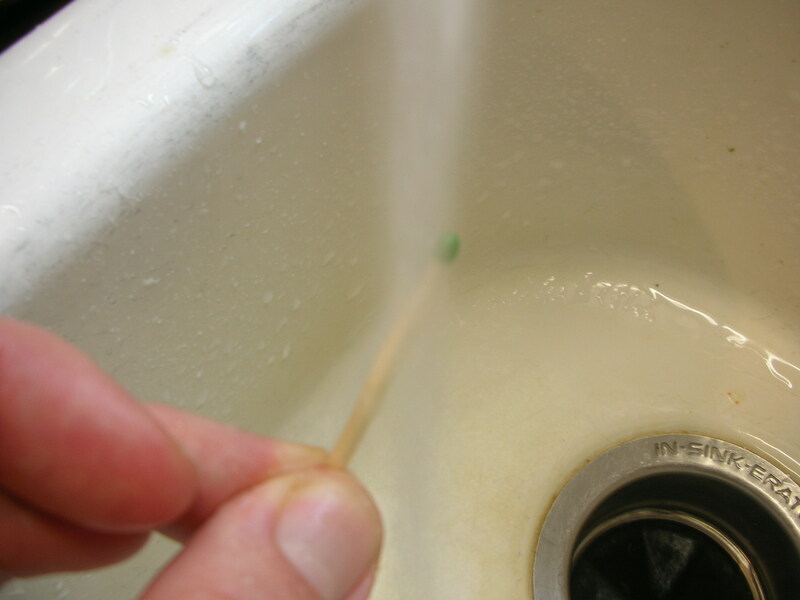 This is a picture of the waterproof match with wax being held under running tap water for 10 seconds. 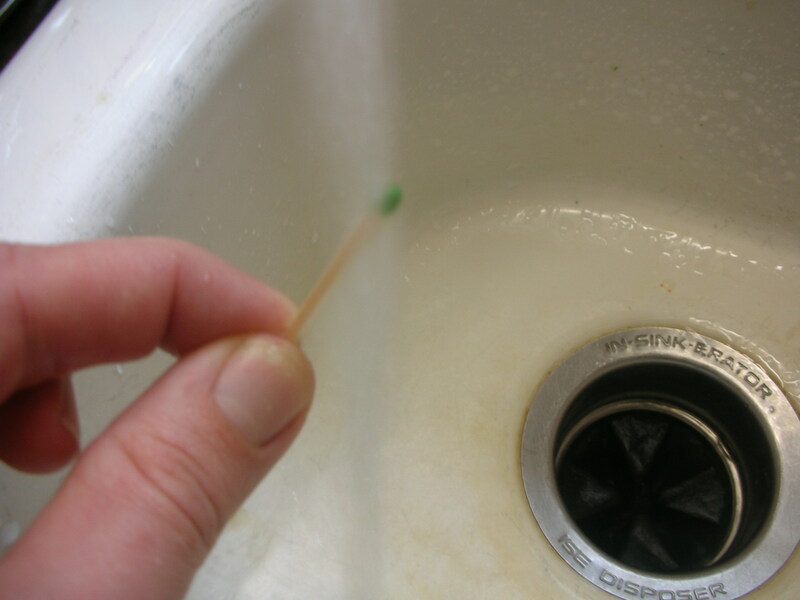 After blotting the water drops off, I removed the wax from the head of the match and it lit on the first strike as shown in the picture. The match burned really well. To make a waterproof match with nail polish simply paint some nail polish on the top half of the match covering the match head and stick. Rest the match on a surface to dry. We choose clear nail polish but any color will work. 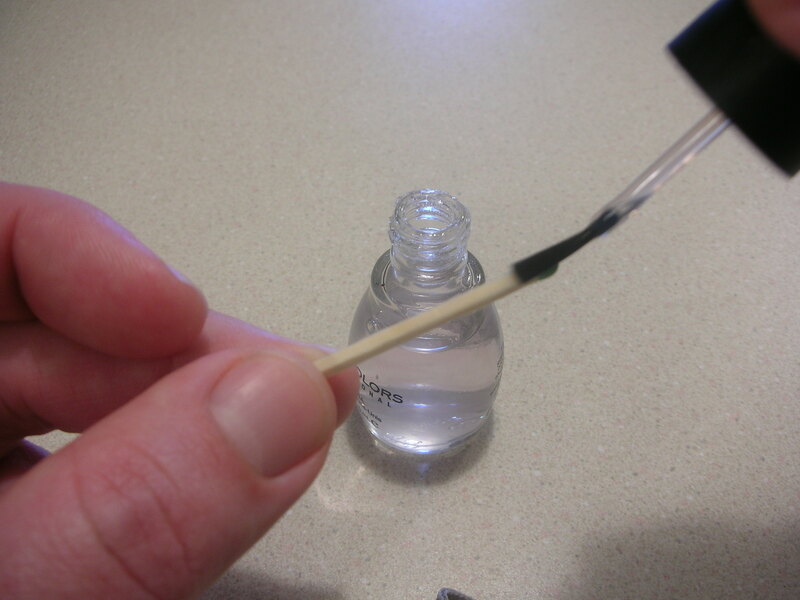 Once the top portion is dry, paint nail polish on the bottom half covering the entire stick. Once the nail polish is dry you're done! To use the match just strike it. There's no need to scrape off the thin layer of nail polish. As with the wax version, I held the nail polish match under running tap water for 10 seconds, covering the entire match. After blotting off the water drops, the match lit on the first strike and burned really well. Although the nail polish version is a little quicker to make compared to melting the wax, the nail polish match burns a lot faster. The match did not last very long because the fire quickly consumed the stick. The wax version actually uses the wax as fuel and burns a lot slower compared to the nail polish. 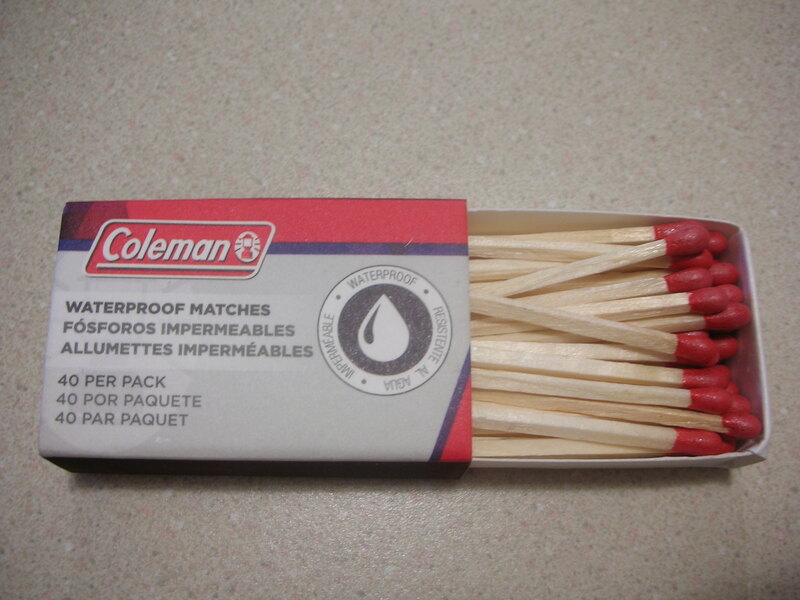 I picked up a couple different versions of the Coleman waterproof matches to test them against my homemade version. For about $3.00 I purchased 4 packs of matches totaling 160 matches. They came inside a plastic ziplock bag to help protect the boxes from moisture. I ran these matches under tap water for 10 seconds, blotted off the water drops and they lit on the first strike. The matches burned really well with a nice sized flame. Overall, for the price I am pretty impressed. For $1.00 I also bought a sealed, watertight plastic container that had 25 waterproof matches inside including a separate striking pad inside a zip lock baggie. The container also had match striker made of flint on the bottom and a rubber O ring on the cap. I ran these matches under water for 10 seconds, blotted them off and they lit on the first strike when I used the striking pad. The flint on the bottom would not light any match, even ones that was not exposed to water. The $1.00 I spent on 25 waterproof matches and a watertight container and striking pad is hard to beat. Making my own matches was easy but I would just spend a $1.00 and buy them already made plus you get a nice little container for the matches. For refills, the $3.00 I spent for 160 matches also seemed reasonable and Coleman matches worked really well. 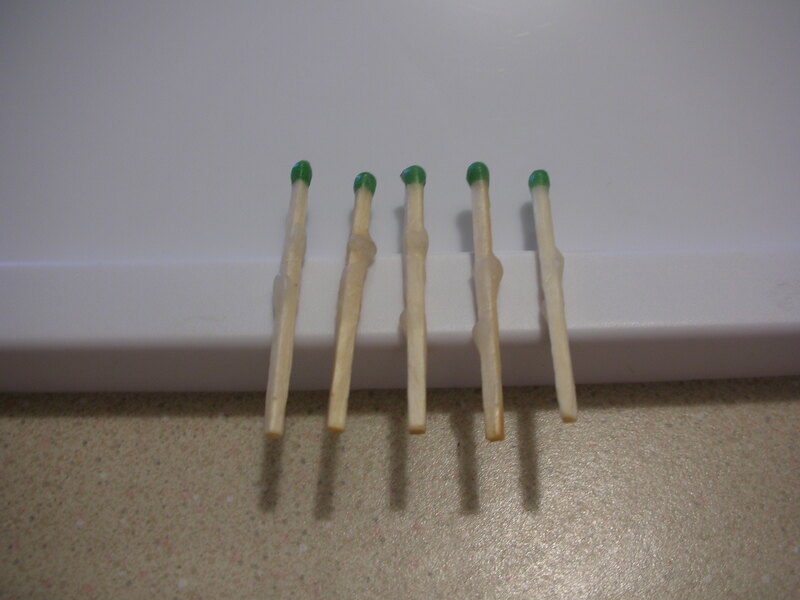 Ultimately, if you're up for a fun project, making your own waterproof matches is easy and they work. If you want to skip the do-it-yourself steps, go to your local shopping center and buy some Coleman matches.......they're cheep and they burn great!